Do you have a mosquito infestation in your garden? Did you know that this is one of the biggest problems of most home and garden owners? Fortunately, there are a lot of mosquito foggers in the market that you can purchase. All you have to do is to choose among the best mosquito fogger today. These are all the information about the best mosquito fogger that you can purchase in the market today. For this review, though, the winner is Tri Jet ULV NonThermal Fogger. The reason behind this is because of the effectiveness that it has not only when it comes to killing mosquitos but for eliminating molds as well. So What Is a Mosquito Fogger? People are used to just killing a mosquito with a fly swat or worst, their hands. Killing a mosquito using a swat is not so effective since they are tiny and can get through the holes of the swat. Your hands, on the other hand, will be exposed to whatever bacteria the mosquito is carrying. Some may say that they can just wash it off, but using your bare hands is not hygienic at all. ​Fortunately, mosquito foggers are here to help you with your mosquito problems. For people who don’t know, a mosquito fogger is known as a device that has the ability to create mists out of an insecticide to kill the mosquitos around your garden. They also come in different sizes, shapes, and types, wherein the most popular ones are the ULV and the Thermal foggers. Most mosquito foggers are known to be very effective but bear in mind that you need to fog your garden a couple of hours before a gathering and such. This will surely keep the mosquitoes away from your home for 12 hours. But for people who want to ensure that they can permanently get rid of this problem then fogging your garden every single day for one entire week would be essential. Doing this will certainly eliminate the mosquitos in your place. There are different types of mosquito foggers to choose from, and knowing what they are is important for you to know what you need for your mosquito problems. ULV or the Ultra Low Volume Fogger can produce droplets of insecticides that measure 5 to 50 microns in diameter. This will help the fogger to generate more fog that is uniform, therefore covering a significant area of your garden. It also can produce thick fogs which will keep the spray concentrated. This just means that it can effectively kill all the mosquitos in the area. ULV mosquito foggers are powered by electricity and can both be used indoors and outdoors. The electric mosquito fogger generates heat by using electricity, wherein the heat will then turn all the insecticide into a fog. This means that for you to be able to use this fogger, you need to plug it in. It can produce an insecticide that is dense and cloudy, which are perfect for your yard, flowers, and trees. Another type of mosquito fogger is the propane one, which produces the needed power to generate the needed insecticide. This fogger needs to be ignited by fire for it to start producing a powerful and dense fog. 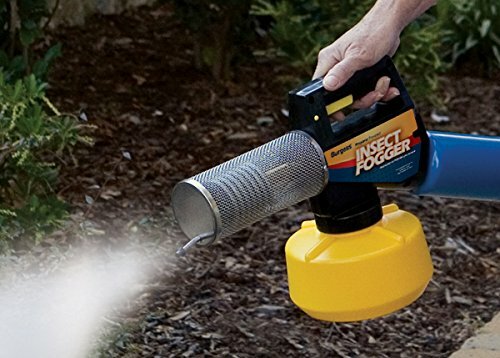 This just means that this fogger will be perfect for areas that are large, such as greeneries, bushes, and trees. The good thing about this fogger is that you can freely use the area without having the need to get out of there for a couple of hours. One of the easiest mosquito foggers to use is the Aerosol one because you no longer need to use any equipment at all. It comes in a spray bottle, and all you have to do is to spray the bottle to anywhere in your garden or even your home. This type of mosquito fogger is perfect for tree branches and low bushes, and as well as in areas that are small. 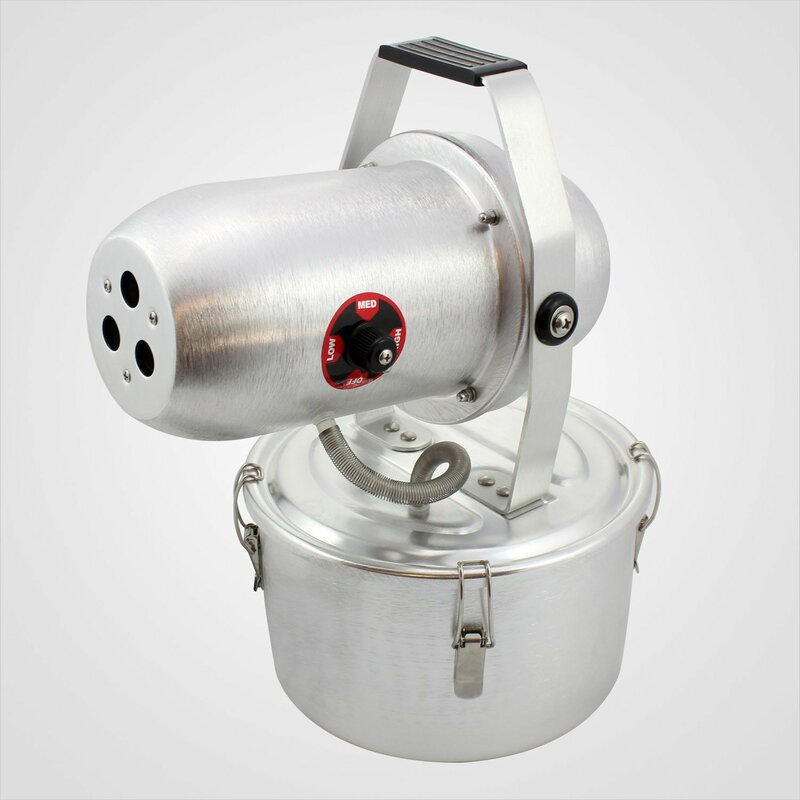 But you should know that the Aerosol mosquito fogger is not as dense as the other types of mosquito fogger in the market today. One of the most known signs of mosquito infestation is the buzzing sounds that you can hear anywhere in your house. You can also hear them in your garden when it’s all too quiet already. Another sign and the most obvious one is the bite marks that you can see from your skin or your family members. These bites are very itchy, irritating and inflamed, while there are also instances that they swell. For people who don’t know, mosquitos that are female are the ones who are biting humans, while the male ones are feeding off through nectars and such. If you have any standing water in your backyard or home, it would be better to get rid of them because this is where the mosquito lay their eggs. There will also some instances that you will see some eggs already laid down there or some mosquito larvae at the bottom. Lastly, you can certainly spot them along areas that are shady and dim since they often these places. So it would be best to check and fog these areas as well. Once one or more of these signs are present, it is now time to purchase a mosquito fogger to help you with your problem. If you are unsure on what fogger to buy, then the review on the best mosquito fogger below will surely help you decide. Tri Jet ULV NonThermal Fogger is made in the USA. The product’s versatility allows you to create a fog with oil base or water base material. It can also be used outdoors and indoors, so you no longer have to purchase a separate mosquito fogger. This thermal fogger can be utilized for insect fumigation, mold control, sanitizer and sterilization fogging, mildew control and mod control. It can also be used with almost any chemical or solution whether it is water based, cedar oil based or oil based ones. The Commander Tri-Jet Foggers’ has a valve that can be adjusted and a nozzle tornado, which will let you maximize the mist for up to a maximum of 30 feet. The Tri Jet ULV NonThermal Fogger is the perfect solution for handling all sorts of pest control problems that you have. It can be used in residential homes, apartments, restaurants, warehouse, barns, stables, kennels, and even buildings. The good thing about this fogger is that since it can reach 30 feet, it just means that it can be applied to hard to reach areas in your home. It can repel and kill all sorts of mosquitos, flying insects, and flies that bite for a maximum of 6 hours. As soon as the fog disappears, which typically lasts for no more than 5 minutes, people then can re-enter the area. 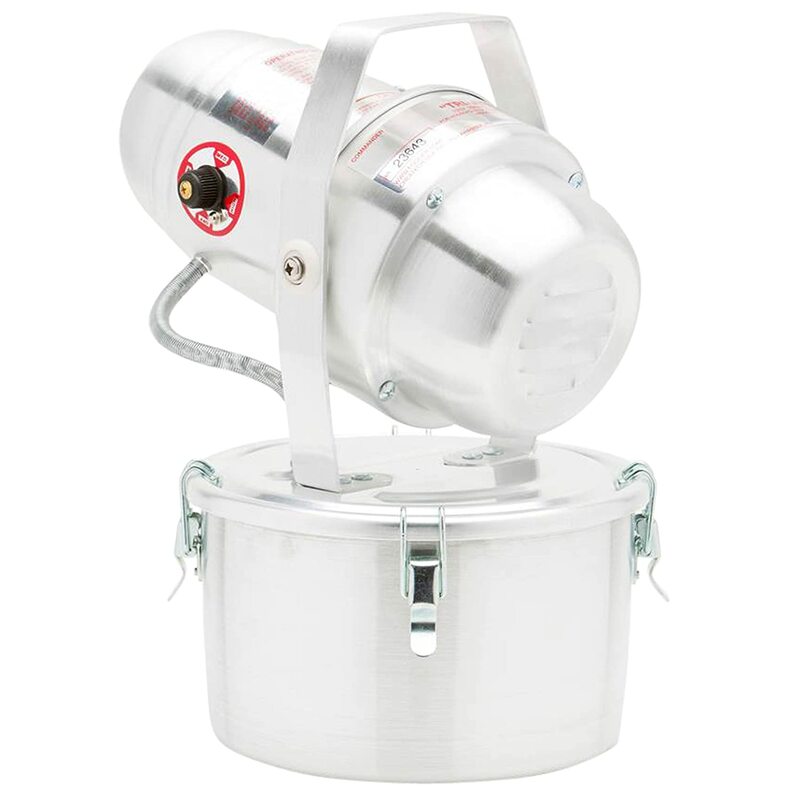 This propane insect fogger is compatible with a 16.4-ounce short style or a 14.1-ounce tall style propane cylinder. This can only be used with Repel, Cutter, and Black Flag fogging insecticides. 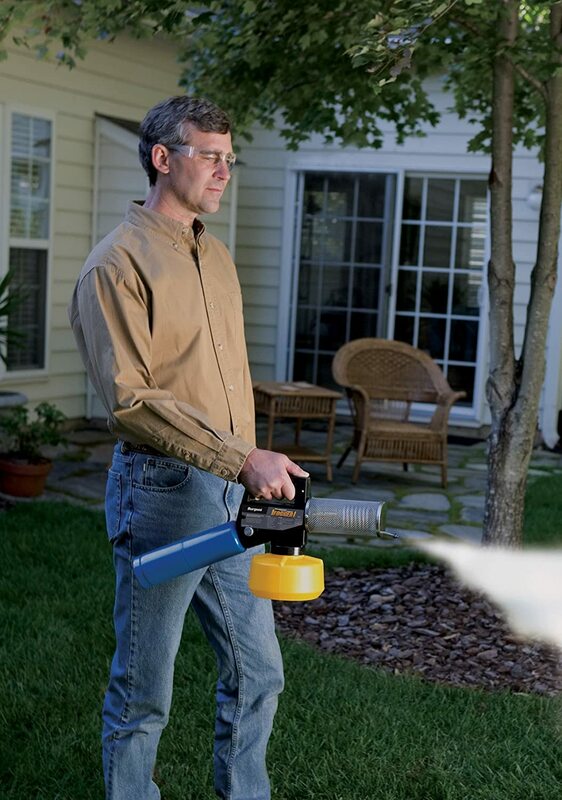 The Burgees 1443 Propane Insect Fogger for Fast and Effective Mosquito Control in Your Yard can produce a maximum of 7 times of particles than that of mist. These articles will then start floating in the air, which means that more mosquitos will come in contact with the insecticides killing them. This mosquito control can only be used outdoors and a quarter of insecticide can already treat half of the acre. 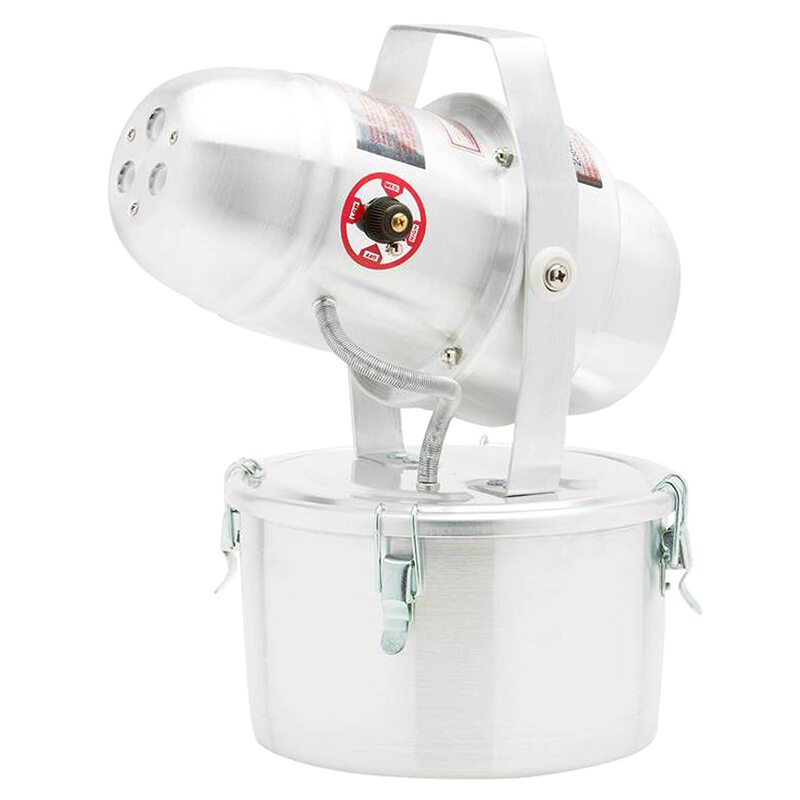 Silver Bullet ULV Non-Thermal Cold Fogger Triple Jet Pest Mold Mosquito Fogger is known to be a well-enhanced fogger available in the market. The motor that it has is powerful enough to allow a maximum of 40 feet of spray. The materials are made out of robust, which makes it durable than its other competitors. The hardware is made out os stainless still and has an improved nozzle and a powerful motor for the vacuum pump. 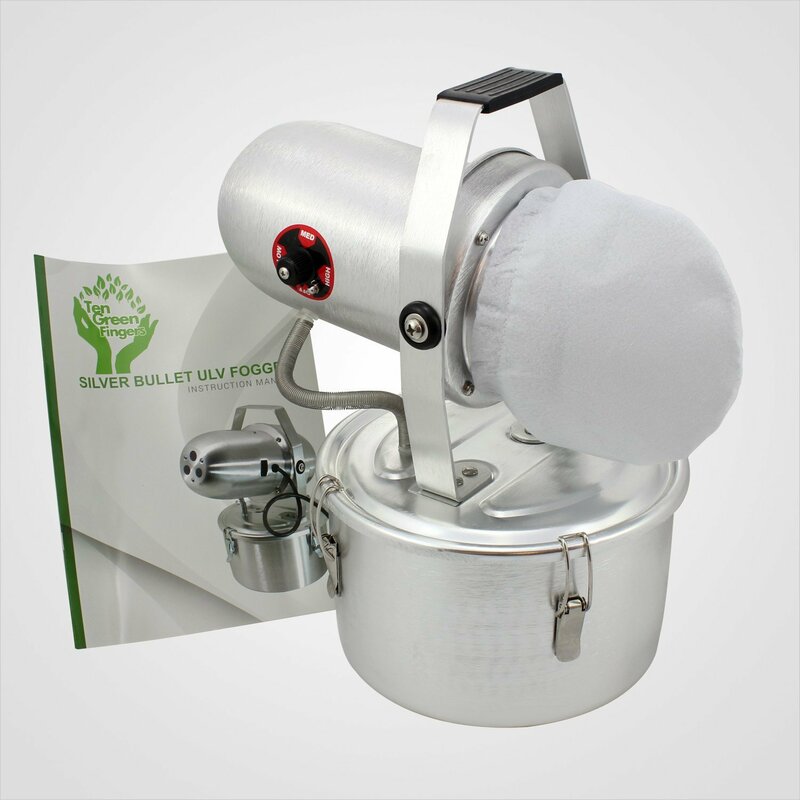 The Silver Bullet ULV Non-Thermal Cold Fogger Triple Jet Pest Mold Mosquito Fogger can help you with insect fumigation, pest control fogging, sanitizer and sterilization fogging, and as well as mildew and mold control. Another good thing about this is that you can use it to almost any chemical or solution, including, water, cedar, and oil solution. This product has a knob wherein you can control the particle size the misting’s degree. 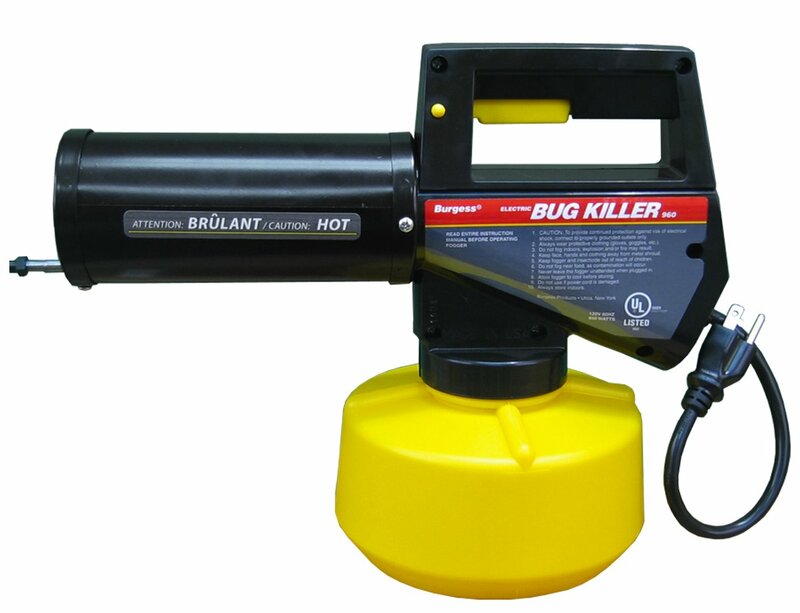 Burgees 960 Electric Insect Fogger for Fast and Effective Insect Control in Your Yard is mostly used by most professionals and can kill mosquitos that are carrying the virus that is West Nile. It can repel and kill the mosquito and flies that are biting for a maximum of 6 hours can treat an average of 5,000 square feet yard in not more than 10 minutes. The good thing about this fogger is that you can re-enter the area in not more than 5 minutes. Burgees insect control can be used only with Repel, Cutter, Black Flag fogging insecticides. 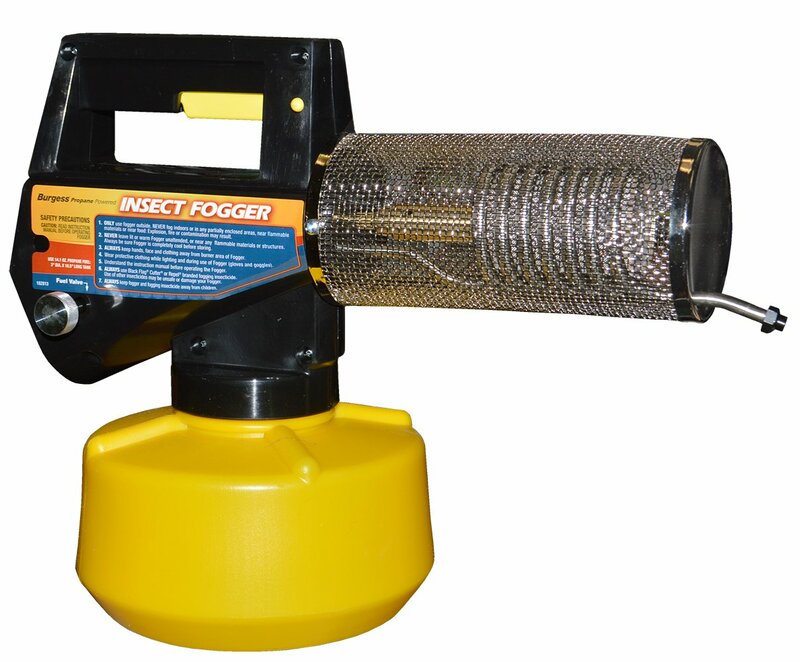 The Burgees 960 Electric Insect Fogger for Fast and Effective Insect Control in Your Yard will let you know once it’s ready to be used when the fog starts to appear. This will usually start in about 3 to 5 minutes. The fog will then float around for quite some time to ensure that it can penetrate the yard that you have, where the mosquitos are usually hiding. It would be best to spray not too early in the morning to avoid killing the bees and other types of beneficial insects along the way. 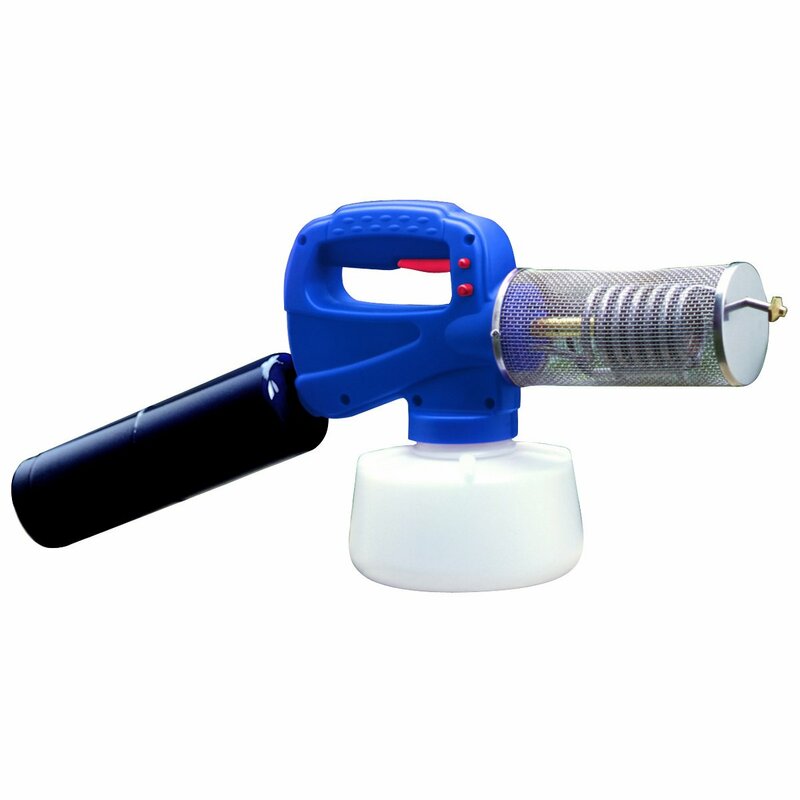 Hudson 62691 Fog Propane Fogger Sprayer is one for the easiest fogger in the market today, which can kill and control the flying mosquitos in your yard. It has a piezo switch ignition and can safely light without the need to use a match. The lingering fog will surely kill the mosquitos flying around your yard, which can cause diseases and irritating bite marks. 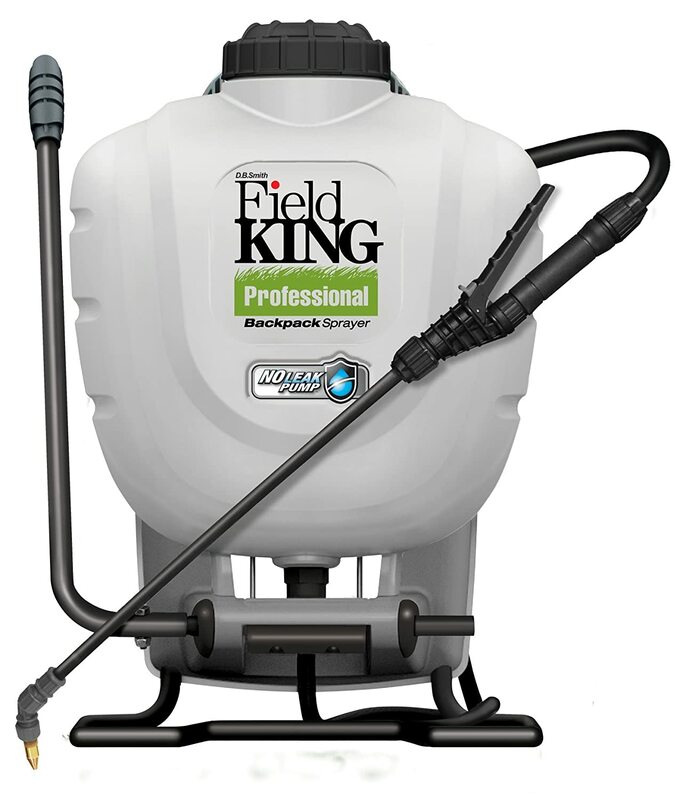 The Hudson 62691 Fog Propane Fogger Sprayer will not only work with mosquitos but spiders as well. Just make sure to apply heavily to be able to get rid of these nasty spiders in your house. This fogger can only be used outdoors because it can create a fog that is toxic. Start eliminating mosquitos that are carrying diseases by using the best mosquito fogger.